Oregano can enhance the flavour of your food. Did you know that it could provide you with many health benefits vital to your immune system? Oregano “Origanum Vulgare” which is derived from the Greek work Oros (Mountain) and Ganos (Joy). The herb comes from the Mint family you may have noticed that many of the herbs mentioned on this site come from the same family. Not surprising why these related herbs have so many medicinal and health benefits. Mainly from the beauty, this herb presented, growing on the hillside that brought about the name. Oregano’s most famous use within the culinary area is when used as a herb in Pizzas. It can add that aromatic flavour with not only pizza but also many other dishes, in particular, from the Mediterranean cuisine. Native to Northern Europe however, due to its popularity is now growing throughout the world. For thousands of years, the Greeks and Romans recognised Oregano as a symbol of joy and much happiness to the point that the brides and grooms would wear a laurel of oregano on their head. The leaf of the Oregano is the part used with culinary dishes. 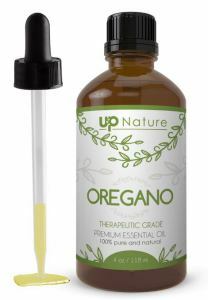 Within the medical area, Oregano Oil has become important for many health and medicinal benefits, one of which relates to the Immune System mentioned briefly above. 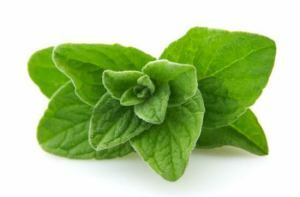 One of the main active ingredients within Oregano is Rosmarinic acid. A powerful antioxidant which helps support the Immune system. Vitamin E, known to be very beneficial for building a strong immunity and is a popular antioxidant, also helps protect the cells from damage. What it does, is to help prevent cell damage caused by Free Radicals by neutralising them and in doing so helps reduce the risk of cancer and atherosclerosis. Rosmarinic Acid, on the other hand, is stronger than vitamin E so this creates another reason why herbs such as Oregano are so important outside of the Culinary Dept. A high source of Antioxidants can be found in many fruits and vegetables. However, in a study conducted by researchers in the U.S. Department of Agriculture found that on a per gram basis Oregano has more antioxidants than fruits and vegetables. In fact, the study showed that Oregano has 42 times more antioxidant activity than apples, 30 times more than potatoes, 12 times more than oranges and 4 times more than blueberries. Again, the power of herbs should not be underestimated. It also has anti-inflammatory and anti-allergic properties, which helps to treat issues such as peptic ulcers, arthritis, cancer, rheumatoid arthritis, and bronchial asthma. All of which help fight and strengthen the immune system. Due to its strong antibacterial qualities, it helps to fight against bacteria and other germs. As such, it has become a very beneficial addition when incorporated into hand soaps and disinfectants. When used as a tea, oregano can help to treat colds, flu along with coughs and those irritating throat infections. It can also help to get rid of any phlegm in your lungs when it is ingesting. As a tea place two teaspoons of dried oregano into a tea strainer and add a cup of boiling water. As always with teas and in particular herbs let it steep to gain the maximum benefit for a couple of minutes. When taken internally it can also help to stop diarrhoea, along with helping to regulate the menstrual cycle and possibly help delay the onset of menopause. The tea can be beneficial in treating when you have that queasy stomach feeling even motions sickness can benefit from having Oregano. 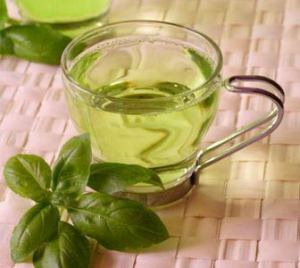 A great way to relax is to have a cup of Oregano tea before going to bed. This allows for the properties found in Oregano to help soothe and relax the nerves so you can have a more relaxed and better sleep. Due to the presence of Thymol and Carvacrol, Oregano Oil helps with the treatment of various skin conditions such as acne, dandruff, warts, ringworm, and psoriasis. The oil works well topically, for issues such as athlete’s foot or nail fungus as well as an insect repellent. While Oregano is generally safe to use there are some people who may have some reaction in some way, shape. As Oregano is from the same mint family such as basil, mint, rosemary, sage, marjoram, thyme, lavender if you have reactions to any of such herbs then caution applies. Such reactions may include or increase allergic reactions. For some, it may be a simply itchiness or a rash forming. For others, it may be something much more critical. This is why you need to seek medical advice from a licensed medical or qualified health professional before embarking on any changes in your healthy life. Some, when taken internally may have mild stomachache but as stated, it would be mild at worst. Those who suffer from diabetes would know the importance of maintaining blood sugar levels. Oregano can lower blood sugar levels so keep this in mind when or if you are taking medications to lower blood sugar levels. It would be great to hear of any experiences when using Oregano, as a culinary herb, as a tea using the leaves, and when using Oregano as an Essential oil. If you have recipes to share, that would be great as in the near future I will also be including many recipes that have the various herbs and spices shown on this website and more. So please, place your comments below as every bit helps for yourself, or for others who can also benefit from your knowledge, skills, and experience when dealing with Oregano. All are works in progress as this website builds up, but with your help and support, many others can benefit along the way. In the meantime stay safe; always go forwards in life, sending you blessings in all you do.